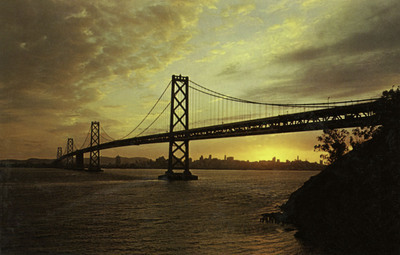 "California – San Francisco - Oakland Bay Bridge"
San Francisco - Oakland Bay Bridge - This bay bridge was built at a cost of over 97 million dollars. It is eight and one quarter miles long and connects San Francisco with Oakland and Berkeley. One color postcard with a divided back. The postcard was published by Smith News Company in San Francisco, California and printed by Dexter Press in West Nyack, New York.